I like sharks. I like medium format digital. And, I like humor. So, here's all three. I found this shark at Dillards for $3.75 and bought two. New Hasselblad H5D-50c WiFi arrived Saturday and I'm putting it through its paces. Incredible 50-megapixel sensor with 14-15 stops of dynamic range and performs amazingly well at ISO 1600. I was astounded at the lack of noise at 1600! First job for it was Ice Cream Cakes and packaging items today. Friday is drum pieces. Monday is a model named Willow. 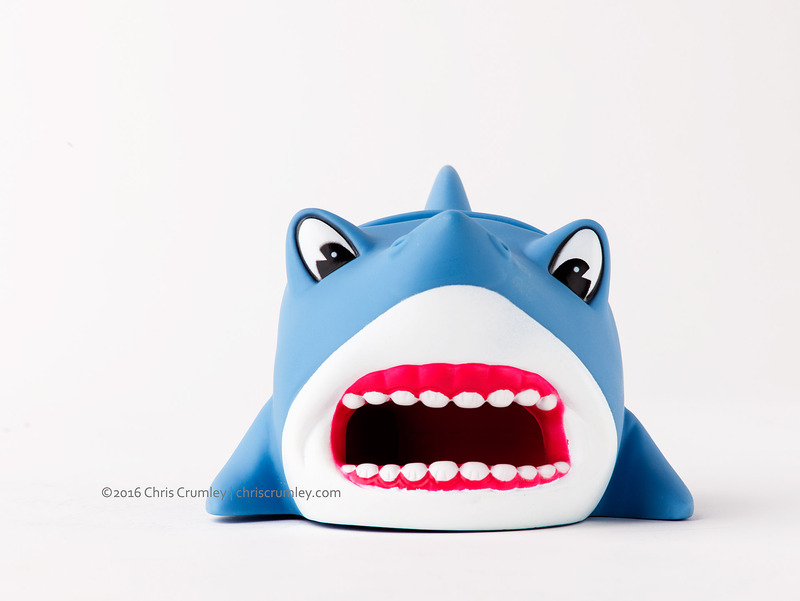 Today, the shark was making Client, Creative Director, Assistant and me laugh.